If you were looking to travel the world to discover and learn from the coolest places, venues and daily cultural events, Travel + Leisure’s compilation of the World’s Best Cities is a good place to start. See the rankings below, and you can check out the overall top 10, each city’s score, and full profiles here. Please add your comments below, especially on the happening hot spots in each city. 1. 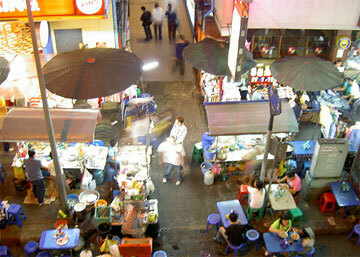 Bangkok, Thailand (pictured) – The cool/hip/chic capital of Asia? Takeaways: Timeless, preserved historical culture is a significant asset, and so is the contemporary as long as it’s at human scale. Takeaways: Affordability and choice will keep people coming back, staying longer. More tomorrow on Central to South America, the Pacific, Europe, Canada and the U.S.
Kathmandu,Nepal is not a hippe place I have been there and there is much more than hippies Mt.Everest and Sherpas. There are many more places to go and people to see! Been to 6 of your 10 Asian cities. I agree with you on all points except Beijing, aside from the obligatory runs through the Forbidden City/Temple of Heaven/Great Wall, Beijing is a nasty, sprawling, shithole of a city. Not Unless you have a huge hard-on for traditional Chinese culture (In which case Xi’an wouldn’t be a bad choice) I’d say skip mainland China altogether, visit dynamic HK and spend the rest of your time in beautiful SE Asia: Thailand, Laos, Malaysia, and Cambodia. Just my 2.